That is the new Yamaha YZF-R15 v3 spotted testing recently according to the story by this website. The Yamaha YZF-R15 has been a popular sportsbike in India and for a long time, it's been the cornerstory of accessible performance. Unfortunately, Yamaha India hasn't paid attention to this extremely well-made and extremely capable small sportsbike in ages. Which is kind of sad for a motorcycle that will, in the big picture, be regarded as a milestone for performance motorcycling in India. The version 2 of the R15 has been around for a long time now and the updates have been to the colours and stickers on the fairing. 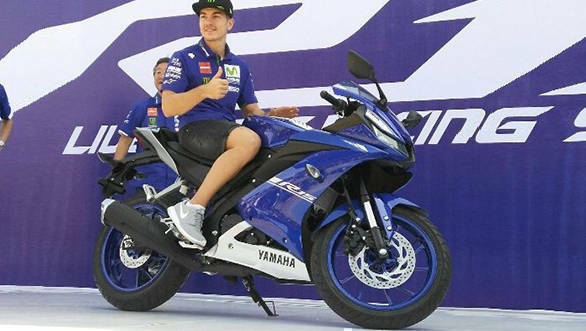 In the meantime, last year, Yamaha launched the new Yamaha YZF-R15 v3 in Indonesia a while ago. 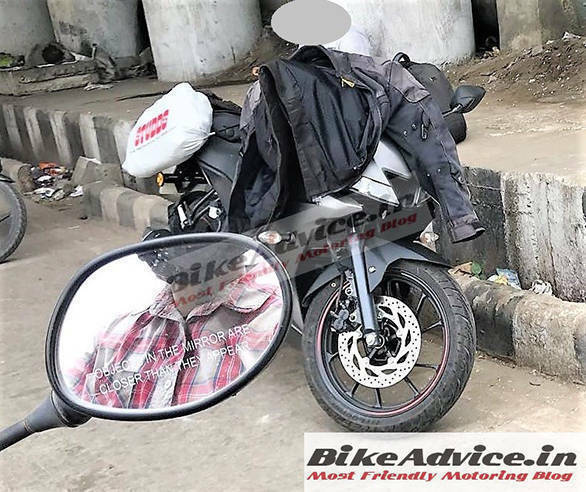 It is this motorcycle that's been spotted testing and the story says the tester, in the throes of trying to not get the images shot let slip a confirmation that this was in indeed the R15 v3 and that Yamaha India was testing it in India. However, the story is a little more nuanced than that. The Indonesian R15 v3 is technically all-new except for the actual twin-spar frame which appears to be a carryover from the v2 with tweaks. Given how good the R15 is, the carry-over is neither surprising nor a reason to complain. But the rest of the motorcycle in new. That's new bodywork that is closer in ethos to the new R1 although it doesn't go all the way to the race-style fairing with small, faired-in LED headlights. Instead you have sleek twin LED headlamps which flank an air intake. All the panels are new and I suspect that the motorcycle will look larger in the flesh than the old one. The new motorcycle is, to be sure, larger - about 20mm longer, 55mm wider and a bit taller as well. The seat height also goes up but the wheelbase is shorter and the weight goes up 1kg. The motorcycle also gets premium equipment, like USD forks and most importantly, a 19.3PS 155cc engine that uses variable valve timing to balance the need for top-end power against the vital low- and mid-range torque that makes for good street motorcycles. The engine is all-new sharing nothing with the lower compression 149cc Indian R15 motor. The new engine also gets a slipper clutch as well as an all-LCD instrument cluster. Typically, India is amongst the least paying markets of South East Asia if you compare motorcycles that are similar in spec. It is the reason why, for instance, that the Indonesian R15 can have USD forks and variable valve timing - the price headroom is higher. The R15 v3 is Rs 1.7 lakh in Indonesia and in Vietnam, the same bike is a whopping Rs 3 lakh plus. For reference, the R15 v2 is roughly Rs 1.2 lakh ex-showroom in India. It's pretty clear from the images that this isn't an Indonesia-spec Yamaha YZF-R15 v3. And that's how it should be, the R15 was always an expensive acquisition and the addition of USD forks and variable valve timing would just make in unrealistic in pricing terms. Especially since the KTM Duke 200 is priced well, in the ballpark and substantially more powerful. So while the bodywork, the LCD instrument cluster, LED head lamps etc will all come to India, we suspect that the Indian YZF-R15 v3 will be a unique specification for us. The first visual sign of this are the right-side up telescopic forks. USD forks a bit more expensive to deploy. It also opens the door for Yamaha to tune the suspension for the harsher conditions that we encounter. It also gets MRF tyres - and it must be noted that the MRF tyres all R15s have received so far have been outstanding in performance for their price. But it makes me think that Yamaha will also create a less expensive version of the new engine for us. That means using the new nearly square 155cc displacement with a four-valve SOHC head but without the fancy variable valve timing. Power and torque will go up from the v2 to be sure but it may not be as powerful as the 19.3PS Indonesian motorcycle. This is dart thrown in the dark at an invisible board but I would suspect that the Indian version might get 18PS and 15.5Nm, but this is my guess and without any real basis. I do expect the motorcycle to retain all the other goodies like the slipper clutch and come with ABS as standard - it is mandatory from next year. The new Yamaha YZF-R15 v3 should go on sale in India around June 2018. The company refused to comment on this, naturally. The price will go up a small bit. I expect to see the R15 v3 priced between Rs 10 and 15,000 more than the current one at the maximum, accounting for the new bodywork and standard ABS. That means an ex-showroom price of Rs 1.3 to 1.4 lakh at the maximum. If you think this looks expensive, just remember that the arrival of standard ABS will push the prices of all the motorcycles northwards by roughly Rs 5-8,000 and the pricing field for the Yamaha will look better in that context. New information suggests that the Yamaha YZF-R15v3 will be launched within the next couple of months and ABS will not be standard on this model as a result. As we noted earlier, ABS becomes mandatory for all new models in April 2018 and our source says the model will be on sale long before that deadline. Accounting for the bigger new engine and the right-side up forks plus the new bodywork, Yamaha should be able to price the model within Rs 10,000 of the current price. That means an ex-showroom price, at the very maximum, of Rs 1.3 lakh ex-showroom. 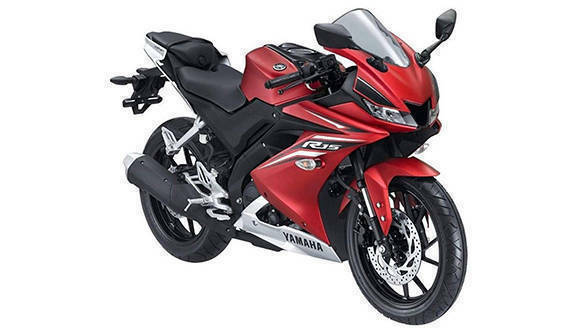 Do remember that while Yamaha's excellent pricing for the FZ25 was important because of the intended role and nature of the 250, the R15 buyer is a slightly more evolved buyer and his perception of value allows him or her to countenance a higher price.